How can you go to an Oyster festival and not try an Oyster? Last week we bought a plate of Oysters (all 5 of them!) and devoured them by the sea. Several years ago whilst living in Falmouth I was commissioned by the Falmouth chamber of commerce to photograph 5 local chefs oyster recipes for some recipe cards they were producing for the Oyster Festival. Naturally, I had to try every recipe the chefs cooked to make sure they were suitable for public consumption! Well that was at least 11 years ago now but I can still remember my favourite recipe of Oyster Gratin. To support other bloggers visit Sara’s Kitchen blog here to see her Oyster gratin recipe – Delicious! The oysters we had were just natural, eaten straight from the shell. They are either something you will love or hate, they look a lot worse than they taste. They taste of the sea so if the water is clean water then there is no reason for them to taste bad. Oysters filter over 50 gallons of water a day so they are very clean shellfish. To find out more about oysters please check out the great website Cornish Native Oysters who be able to tell you a lot more than I can about Oysters! In the meantime enjoy the pictures of our Oyster experience and don’t forget to come back tomorrow for a real Oyster fisherman treat! ‘Oyster’ – Any of several edible bivalve mollusks of the family Ostreidae, especially of the genera Crassostrea and Ostrea, that live chiefly in shallow marine waters and have a rough, irregularly shaped shell. ‘Falmouth’ – is a town and port on the River Fal on the south coast of Cornwall. Falmouth Oyster Festival celebrates the start of the oyster dredging season, the diversity and quality of Cornish Seafood and in particular, one of the last remaining traditional oyster fisheries, dredging by sail and hand punt. Starting this coming Thursday 13th to next Sunday 16th Falmouth will be hosting its ever popular Oyster Festival. From celebrity chefs demonstrating cooking with Oysters and seafood, sea shanties being sung along the harbour side to working boats racing in the Fal. The festival will be full of Cornish food and drink for people to try there or take home to enjoy. With chefs from top local restaurants and hotels such Samphire , the stunning Cove at Meanporth, The Flying Fish at St Michael’s Hotels on Falmouth seafront, The Greenbank Hotel that over looks the Fal estuary and Mr Stein’s Seafood Bar in Discovery Quay we are sure it’s going to be a culinary delight! We are certainly looking forward to it! Check out later in the month for some pictures from the event! WE may even tweet/blog whilst there, depending on our technical ability! I also have some great archive pictures of some salty sea dogs I will be bringing back over the Tamar to show at a later date. 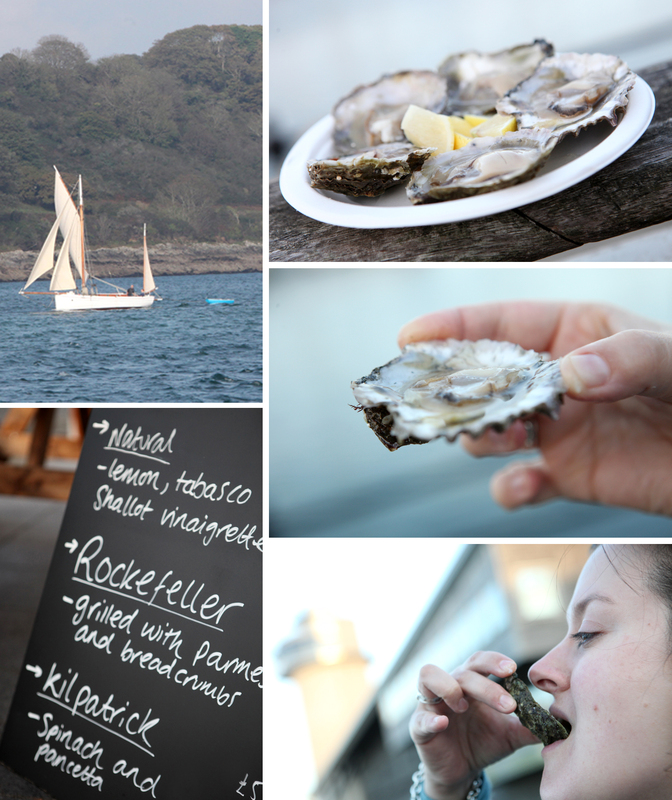 To find out more about whats happening at the Falmouth Oyster Festival click here.